Build a report once and have the data refresh automatically! No more spending time month after month creating pivot tables, charts, graphs, etc. to present data. 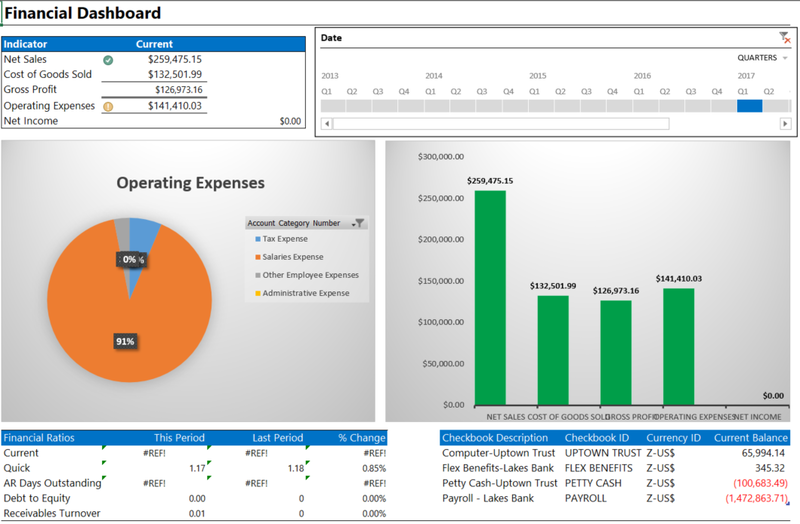 Available since version 10.0, Excel Reports for Dynamics GP is made directly with a connection to the database. Simply ‘Refresh’ with the click of a button. 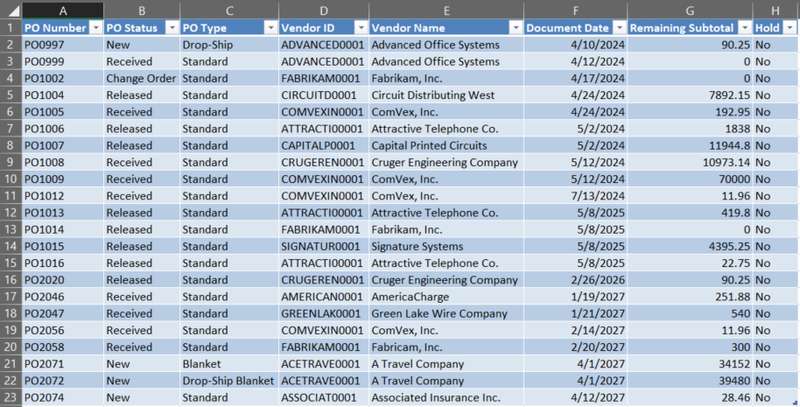 A refreshable data connection is created so that as new data is added or changed in Dynamics GP, the Excel reports using this connection will reflect the change. It’s a great tool for making reviews with customized formatting including graphs and pivot tables and it can be refreshed at any time to gather the most current data. The reports can be accessed from Microsoft Dynamics GP, a secure network location, SharePoint Server, or even Outlook. The Excel reports are easily deployed with Dynamics GP and can be saved to a shared network drive so the necessary users have access. Excel reports do not require a Dynamics GP user to view the reports, you can send reports to anyone in your company who has the required SQL credentials to view the report. Just like SQL Server Reporting Services (SSRS) reports, Microsoft offers a variety of out-of-the-box reports for each module. Let your warehouse staff quickly see what is on purchase. The Open Purchase Orders report will allow them to view new purchases quickly. Allow Salesmen to view a list of the most updated customer information. 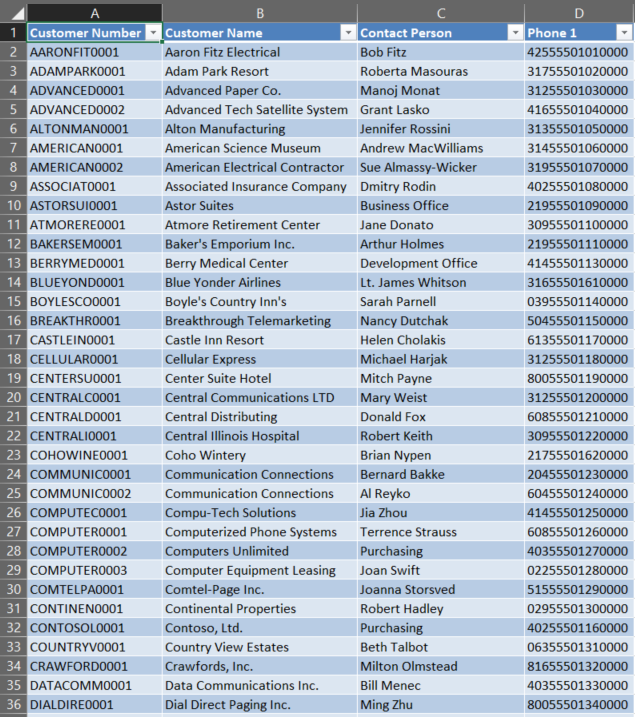 The Customer Contact List comes out-of-the-box, and prevents more users needing access to the accounting system. Excel refreshable reports can be a very valuable tool that you can use in your accounting toolbox to help you analyze your GP data and cut down on the repetitive tasks that you are doing month after month. Excel is likely already used across different aspects of your business. Linking it to your Dynamics GP accounting system will get your users real-time data, faster. With built-in security, reduce the risk of reports falling into the wrong hands. Contact Opal Business Solutions Dynamics GP Consultants to get started!